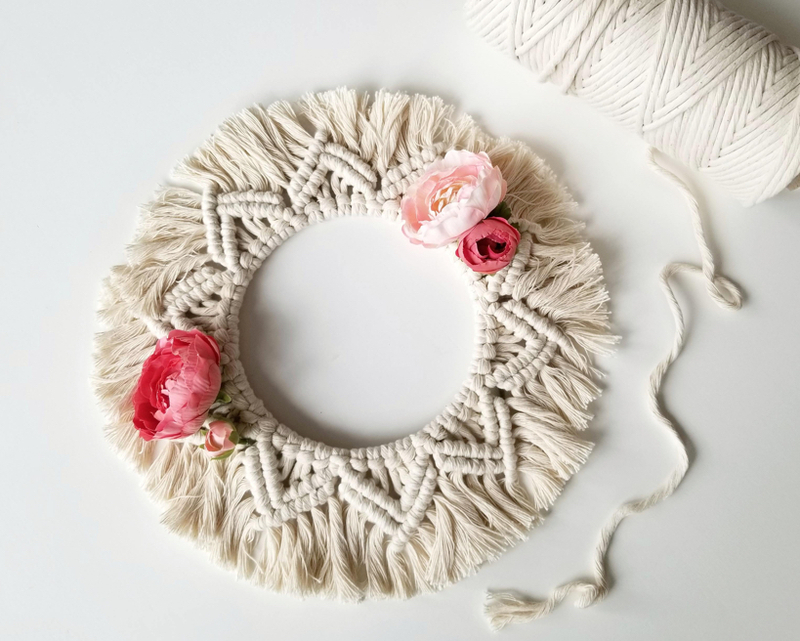 Decorate your home with a light and bright modern fiber arts wreath that will look festive throughout the year and INTO ETERNITY! In this class you’ll learn the art of macrame and the basic knots that transform rope into decorative shapes. Your finished wreath will measure 12” end-to-end and will be perfect to hang indoors or out. Consider accessorizing with flowers for the spring and summer and pine springs for the fall and winter! No experience is necessary and all supplies will be provided. Noelle Trudeau has always been drawn to artistic expression via numerous mediums. Living in Portland she has truly found a home as an artist. Feeling inspired by the beautiful city and the quiet power of nature she began noniko in 2010 as an outlet for metal smithing and her one of a kind pieces of jewelry. More recently she has shifted her focus to creating macrame and woven wall art. In 2017 she came on board with Assembly, where she enjoys sharing her knowledge and passion for crafts with students across all skill levels and ages.